OS is government-owned but self-funding through the sale of licences to use its maps. It had revenues of about £117m in 2009, of which roughly half came from the public sector, and provided a dividend of about £5m to the Treasury. The new arrangements are expected to cost about £20m in forgone revenues – which the government anticipates will be made up through increased tax revenues. The Treasury has agreed to fund the difference. The Ordnance Survey's Open Data site is here; may a million mashups bloom. In the new year Brown intends to publish 2,000 sets of data, possibly including all legislation, as well as road-traffic counts over the past eight years, property prices listed with the stamp-duty yield, motoring offences with types of offence and the numbers, by county, for the top six offences. Local authorities also spend a lot of money getting access to Ordnance Survey. Swindon recently had to pay the OS £38,000 a year to use its addresses and geographical data, even though it had collected much of the data. Of course, the devil is in the details. For all we know, the plan to free the data could be a purely cosmetic gesture comprised of little more than hot air and New Labour spin, offering the "freed" data under such onerous terms as to make it unusable. Though if it does live up to the promise, it will be a bold step in the right direction. The British postcode system, one of the things which Britain arguably does better than anyone else, is 50 years old. The system divides the entire UK into alphanumeric postal districts organised in a hierarchy, with the first one or two letters denoting a postal area (typically a city or the environs of one, though London has several). Unlike systems elsewhere (such as the US, Australia, and most of Europe), it doesn't stop at the neighbourhood level, with each 5-to-7-character full postcode denoting a segment of a street. This makes it useful for applications other than addressing mail, such as navigation; as such, you can enter a postcode into Google Maps or a satellite navigation unit and be shown exactly where it refers to. Unfortunately, though, the database of postcodes and their locations is another victim of the British institutional custom of copyrighting taxpayer-funded databases and licensing them only at great expense and under onerous terms (see also: the Ordnance Survey), effectively restricting them to moneyed corporations. However, there are several unofficial efforts to assemble this data from scratch and release it into the public domain. "Corporate cartographers are demolishing thousands of years of history, not to mention Britain's geography, at a stroke, by not including them on maps," she said. "We're in danger of losing what makes maps unique; giving us a feel for a place." While Spence's complaint seems superficially plausible, it misses the forest for the trees (no pun intended), focussing on the specifics of the implementations of a yet novel technology and ignoring the momentum that is driving progress forward. It's true that, when you look at a map in Google Maps or on a satnav unit, it, by default, shows you a minimalistic, functional map, consisting of sparse lines rendered in brightly coloured pixels. However, it is also true that there is more than that beneath the surface. Google Earth, Google Maps' big brother, renders the globe with a panoply of user-selectable layers, from the standard geographical landmarks (roads, railways, cities) to links to geotagged Wikipedia pages and photographs (albeit on some weird service nobody uses because everyone's on rival Yahoo! 's Flickr). 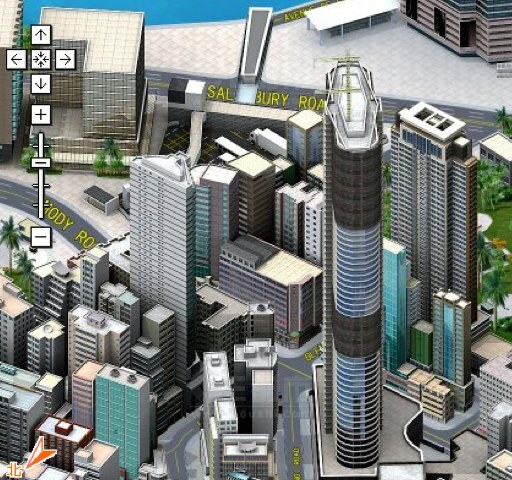 Google Earth itself allows users to draw their own layers and send links to them. And OpenStreetMap takes it one step further, doing for mapping what Wikipedia did for textual reference works; if you find that your map of Gloucestershire is missing Tewkesbury Abbey or your map of Cental Asia got the Aral Sea wrong, you can correct it. And if you live somewhere where there is no Google Maps (and, indeed, no Ordnance Survey), you can map it yourself (or get some friends together to map it; or petition the local government/chamber of commerce to buy a few GPS units and pay some people to drive around with them, assembling a map). This has resulted in excellent maps of places Google hasn't reached yet, like, say, Reykjavík, Buenos Aires and much of Africa. Making maps is only half of the equation; it's when one considers what can be done with all the mapping data that things become really exciting. Now that mobile data terminals (which people often still refer to as "phones"), with wireless internet connections and GPS receivers, are becoming commonplace, these soulless, history-levelling map databases are transformed into a living dialogue with and about one's surroundings. Already mobile phones which can help you find various amenities and businesses near where you are are being advertised. It is trivial to imagine this extended from merely telling you where the nearest public toilet is or how to get home from where you are into less mundane matters. Press one button, it points out historical facts about your location, with links to Wikipedia pages; press another one, and it scours online listings and tells you what's happening nearby. Follow any link to flesh out the picture as deeply as you have time for. Spence's argument reminds me of a lot of the beliefs about computers from the 1950s, when computers were expensive, hulking beasts which were programmed laboriously using punched cards and rudimentary languages like FORTRAN and COBOL. It was too easy to extrapolate the status quo, the baby steps of a new technology, in a straight line and see a future of centralised hegemony and soul-crushing tedium, where the world is reorganised around the needs of these primitive, inflexible machines. Of course, that world never came about, as the machines evolved rapidly; instead of being marshalled into centrally computerised routines, we got iPods, blogs and Nintendo Wiis. To suggest that computerised maps will reduce our shared psychogeography to a collection of colour-coded roads is similarly absurd. One of the things that Britain does better than anyone else is postcodes; while most countries' postcodes give you an area the size of a suburb or town, the six or seven letters of a Royal Mail postcode give you a segment of a street, with enough information to find the place the code refers to. This allows sites like the Transport for London Journey Planner to tell you exactly how to get from one postcode to another. Anyway, this has gotten up the nose of a number of open-geodata activists, who are doing something about it: they're collecting their own data mapping points to postcodes, and using this to draw up freely usable and distributable maps of postcode areas. Free The Postcode! is aiming to do this at a high level of accuracy, soliciting input from people with GPS receivers; meanwhile, New Popular Edition Maps is using a 1940s-vintage map of England and Wales (Scotland and Northern Ireland may come later) to allow people to click on where their homes are and enter the postcodes. Since this is inherently less accurate (the map is of fairly low resolution, and the process depends on matching shapes of streets), they're only concerned with the prefixes at this stage. The data produced will be released into the public domain. In Britain, there is little free map data. There is an excellent map of the whole of Britain, assembled by the government's Ordnance Survey, but, in line with Thatcherite-Blairite ideology, which holds that not extracting the maximum profit is a grievious dereliction of duty, this is commercial and expensive. (In contrast, the United States Geographical Survey's maps are in the public domain, the reasoning being that, as they were assembled with public funds, they belong to the public.) A group of mapping geeks and free-culture activists under the banner of OpenStreetMap are working to reverse this by creating their own maps; they have a wiki-like system to which volunteers with GPS units can upload traces of streets they have walked down and such. This weekend, they are having a working bee of sorts, intensively mapping the Isle of Wight. More than 30 volunteers will descend on the island, walking its many paths with GPS units and uploading their traces to the wiki; of course, the more the merrier, so if you have a GPS unit and a belief that information wants to be free. It is hoped that this project, and the OpenStreetMap project in general, will force a sea change in the ownership of geographical data in the UK, much in the way that the Sanger Institute's human-genome sequencing effort in Cambridge made it unfeasible for Celera Genomics to exercise proprietary control over the human genome.